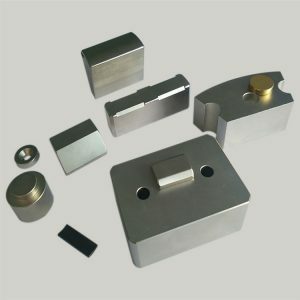 Rare earth magnets are basically permanent strong magnets which are made of an alloy of different rare earth elements. The Rare earth magnets were developed in the year of 1970 and it is one of the strongest types of magnets which are permanent. 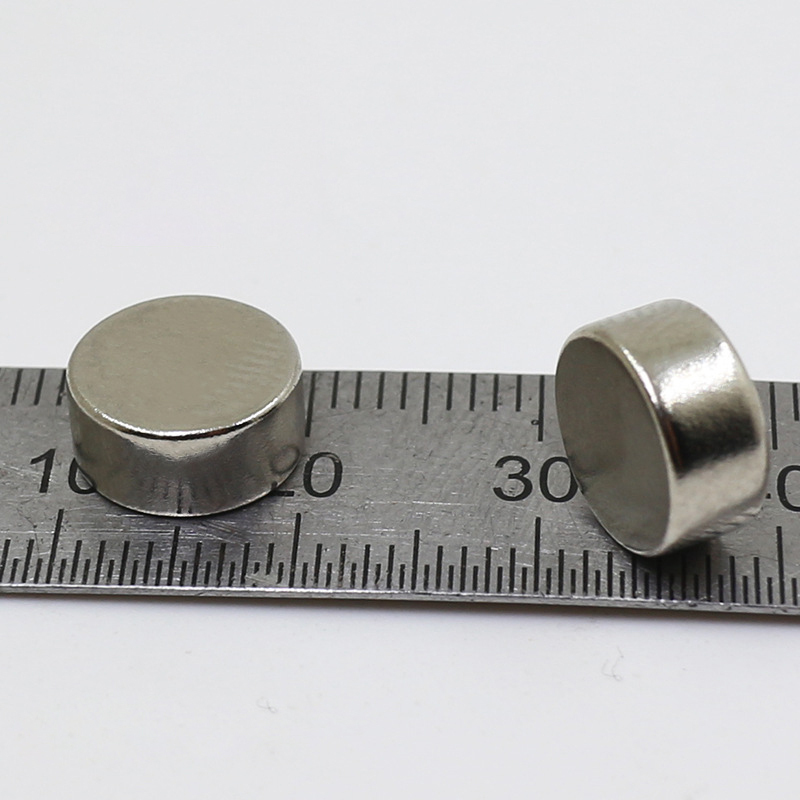 The rare earth magnets have a very strong magnetic field than the other magnets such as alnico and ferrite. The magnetic field that is produced by all the rare earth magnets has a strength of 1.4 teslas whereas the other magnets have a strength of about 0.5 teslas. Rare earth magnets such as Terfenol-D are very often used in all the loudspeakers. Rare earth magnets are all very much vulnerable to corrosion and they are also very brittle in nature. All the rare earth magnets are either coated or plated into things so that they don’t break or become powder. The rare earth magnets were discovered by G. Hoffer and K.J. Strnat at the United States Air Force Materials Laboratory. The materials used in rare earth magnets are not rare at all so at times the name could be misleading. 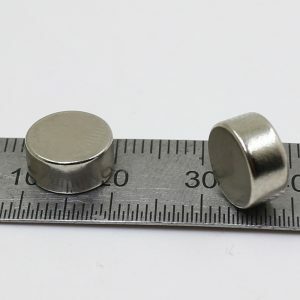 All the rare earth magnets elements are ferromagnetic which means that the elements are more or less like iron and can be magnetized so that they become permanent magnets. The Curie temperature of all the Ferro magnets is below the temperature of a room. When the Ferromagnets are in pure form, the magnetism of the elements is in low temperature. The Ferro magnets easily form different compounds with help of transition metals like cobalt, nickel, and iron. Generally, the rare earth magnets are made of iron, nickel, and cobalt. The crystals of all the materials of rare earth magnets magnetize itself with crystal axis. All the rare earth magnets are made of microcrystalline grains which are all aligned in a magnetic field during its manufacture to keep all the magnetic axes in the same direction. The result of the incomplete f-shell makes the element more magnetic in nature. Basically, all the unpaired electrons on the outer most shell create the magnetic field of the element. Rare earth magnets are used in a lot of places where they are either coated or plated on some material. Basically, rare earth magnets are used in all kinds of hard drives which are been used in computers. Rare earth magnets are also used in different wind turbine generators and are different audio devices like headphones and speakers. The rare earth magnets are used in devices which work on magnetic resonance imaging and they are also used in different bicycle dynamos. All the cordless tools generally use rare earth magnets. The rare earth magnets are also often used in different linear motors which are popular in mag lev trains. All the electro dynamic bearings use rare earth magnets very often. Electric guitar pickups are generally coated with rare earth magnets to create a magnetic field in the instrument. Right now there is work going on in the United States of America for finding out a substitute for rare earth magnets. The whole search is sponsored by ARPA-E which is also known as The Advanced Research Projects Agency-Energy. All this research has been boosted because all the rare earth magnets were being exported from China earlier and since the new export lays of China all the countries are more eager to make their own substitute of rare earth magnets. China is the best place to find all the minerals of a rare earth magnet right now. Find Simple: When you don’t have a strict choice or description in your hand you must always look for simpler choices. Try to think of the details in the easiest way possible to find the perfect match for your product or else it will be very difficult. Finding something online is easy but getting the material quite right or as required isn’t. The strength of the magnet is one of the most important aspects so simply write down everything and match it with the description given online. Size: As we said the specifications should be kept simple, it is important that you keep in mind the size of the magnet. The dimensions are sometimes very confusing so you should remember them in proper scales i.e. inch or cm or mm even. Now, one needs to remember that while ordering in bunch some might even not function properly so purchasing 1-2 more is a wiser idea. Options: While you might have numerous options when you are purchasing online you must also remember that too many options can confuse you. Always keep in mind the exact product you need in order to be close to the requirement and not get distracted when you come across something prettier. If your requirement is for traditional magnets then only strength and size would matter but if it’s a custom made one then there are hundreds of options. Strength: The strength of a magnet is the most important aspect of completing a work. If you cannot buy a magnet which is strong enough then it will be damaged within days so remember to check the strength and magnetizing capacity of a magnet while purchasing it. Since it is online you have to check the description for all this information or you can also call the dealers directly. Durability: When you purchase something you don’t think of repurchasing it anytime soon, right? So you have to purchase something strong enough to tackle harder situations. The durability of a product determines how long it can sustain under tough situations. Durability also speaks of its longevity since the magnet is useful till the time its magnetic fields operate perfectly. These are some of the things you need to keep in mind while you are purchasing magnets online. Remember you have to carefully put things in the order otherwise your product won’t be proper. Purchasing online has different perks but has other hazards as well so keeping in mind the hazards try to stay away from them. You just have to get your product safely and in proper shape.